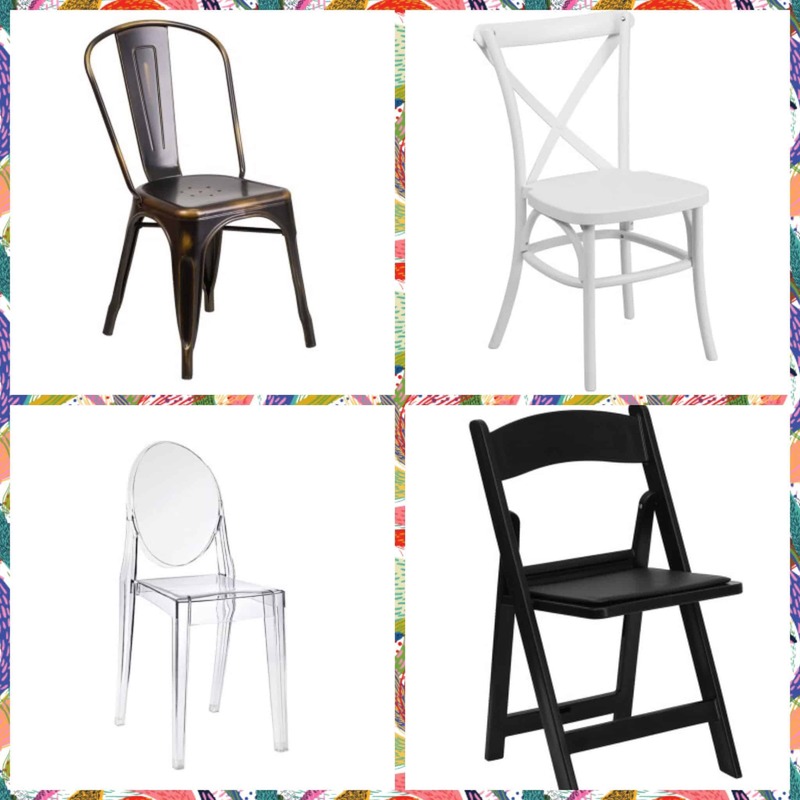 New Products - Chairs | Special Event Rentals / Party Rentals Inc.
We’ve got 4 new chair styles just waiting to be rented for your event! Vintage Copper Industrial – This chair is perfect for any vintage or rustic themed event. It features a bronze brushed-metal facade, which pairs well with our harvest tables, for and event that is both stylish and modern. White Cross Back – This chair is classy, sophisticated and timeless. If you’re looking for something other than a white Chiavari Chair for your wedding, then look no further than our white cross back. Ghost – Modern and chic; the ghost chair has become extremely popular in the last few months, so we’re very excited to be offering this style! You can really have some fun with this chair, as it can be paired with virtually any colour scheme. A ghost chair is also a beautiful option for a wedding ceremony. Black Folding – This chair is extremely versatile and can be used for any event from a wedding to a backyard party.